Your HVAC system is responsible for delivering optimum comfort year-round. If your HVAC system isn't well-maintained or operating properly, you might have higher-than-necessary utility bills. With over 10 years of experience, Modernize is here for you when you are actively looking for HVAC Near You. We are proud of what we do. 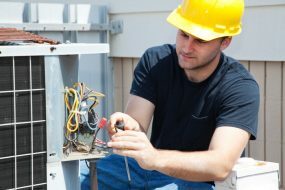 We want to connect our homeowners to the best local air cooling and HVAC system contractors in a quick and easy process. It is always smart to compare at least four different price quotes from contractors to make sure you are getting the best local prices on installation services. Get free quotes from the best hvac repair contractors Near You, ready to complete your project. When your heating and air conditioner unit is needing to be replaced, it can become an emergency situation pretty quickly. The main goal is to repair or replace your HVAC system as quickly as possible, but care should still be taken to find the most reliable and trustworthy HVAC contractor for your project. 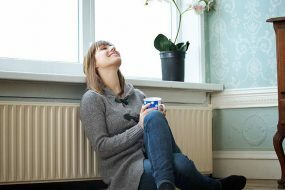 HVAC unit installation can become a pricey home improvement project and you want to make sure your contractor is qualified and reliable before committing to any job. At Modernize, we frequently speak to homeowners about their home improvement projects. In our recent interviews, 90 percent of homeowners requested a checklist to help them find and vet their AC contractors. We offers homeowners a free, digital Contractor Checklist as a simple, step-by-step guide to assist with your HVAC repair or replacement. Print or download the list from the link above. You may also be interested in learning how to evaluate each of your HVAC quotes from the different local HVAC services you request. Ask your family and friends for a recommendation on someone they’ve used in the past and what kind of experience they had with them. Check the Better Business Bureau site for local contractor ratings. Let Modernize help you find the best contractor for the job and help you compare up to four quotes from local installers. Request quotes from three to four local contractors. Check out the websites for each contractor. Check the HVAC contractors social media pages. Many customers will leave valuable feedback on social media pages of businesses, whether it’s positive or constructive. Are they mostly positive? Consider negative reviews and responses. How did the contractors respond to criticism? How much experience do you have with HVAC repair or installation of my particular HVAC type? What is your project cost estimate? Use our homeowner checklist when meeting with each contractor to make sure your HVAC installation is going as smoothly as possible. Unfortunately, there is a small percentage of contractors who are not honest professionals. The best way to avoid scams is to choose a local, trusted contractor. You can confirm this by checking their physical business address and making sure to fully validate all of their licenses. Avoid anyone who pressures you to sign a contract for your HVAC project immediately. Be wary of any outliers in your quotes. All estimates should be relatively similar unless the unit type is significantly different for each quote.